Uni is an elusive ingredient. If you understand it, you will love it. 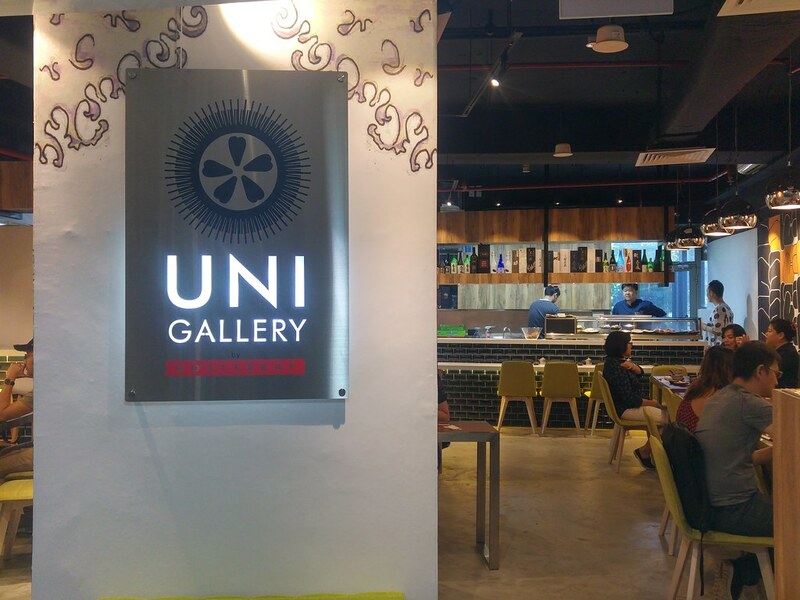 Just as its nature, our very first uni specialised restaurant, UNI Gallery is located at a secluded spot at the basement of The Plaza at Beach Road. Out of sight, I literary had to hunt it down during my first visit. 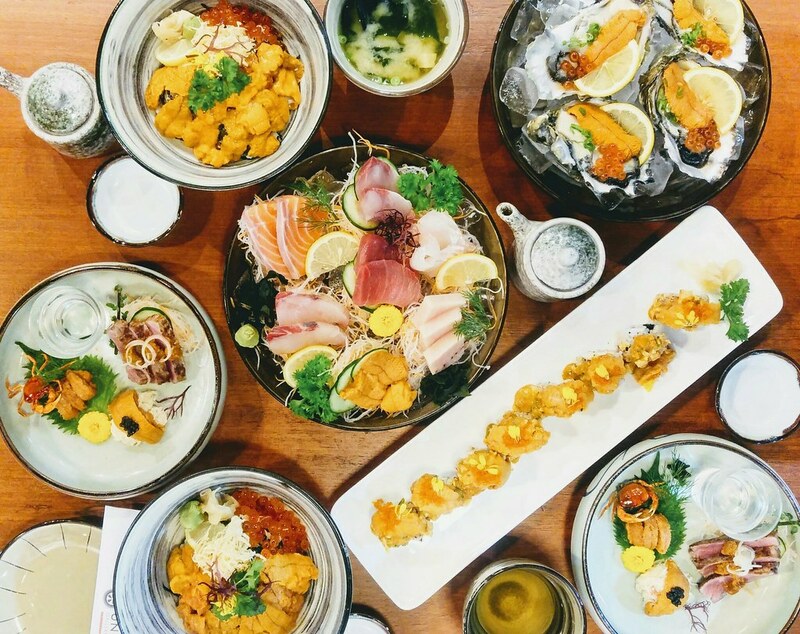 UNI Gallery's curated menu claims to serve the most expansive Uni Menu air-flown from Japan, USA and Canada. Small space but is given another dimension by the specially commissioned wallpapers. Unlike the usual elegant ambience in a Japanese restaurant where you could have an intimate session with your divine food, the interior of this small space is being transformed into canvas for larger-than-life graphics, with uni motifs boldly illustrated. An exception, is the column facing the sashimi counter - a fish-motif wallpaper instead. Akin to degustation dish, The Uni Bomb ($99) features 3 different types of uni paired alongside condiments and served with a shot of Japanese gin or sake. Overlaying the the sweet kegani (hairy crab) meat is a slab of Aka Uni. Less assertive in taste, your palate will ease into it easily especially if it's your first attempt. Being bigger size and balance in flavour make it versatile, hence it is more commonly used in the market. The sweetness of the kegani heightened its subtle taste. Bafun Uni is smaller and more refine, firmer and brinier in taste but sweeter as well. Its creamy texture is lusciously desirable, like mayo with fries as you eat it with the cute crispy fried sawagani. Leave the Uni Shutou Yuzu to the last as it is much bolder in flavour. Enriched with yuzu, the Uni Shutou is umami-packed with a hint of citrus flavour. A little goes a long way in rendering bursts of piquancy to the wagyu beef and take that to a full swing with sips of sake or Japanese Gin in between. Another must try item includes Uni Oyster Shot ($25). 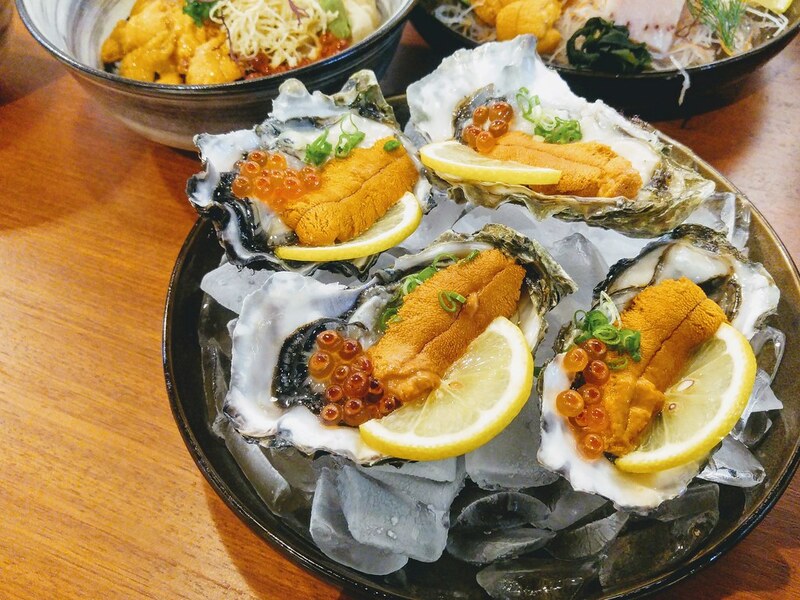 Canadian Aka Uni with iIkura roe served on Canadian fresh oyster. I have my reservations when comes to pairing oysters with other ocean creatures which may tilt the level of mineral taste over. This is still acceptable and worth trying for oysters lovers. Air-flown 4 times a week, the freshness and quality of UNI Gallery's sashimi are on par with its uni. 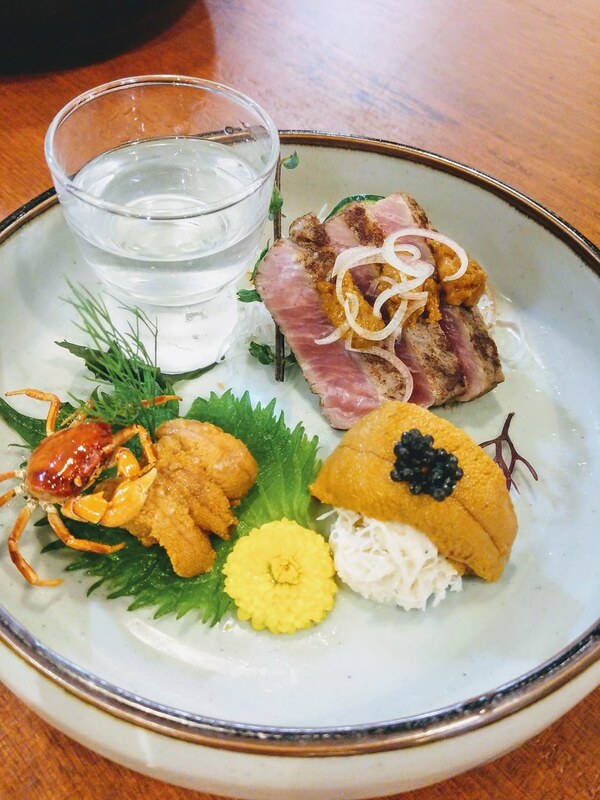 Enjoy seasonal delicacies such as ankimo (monk fish liver), kinmeidai (golden eye snapper) and hirame (flounder). 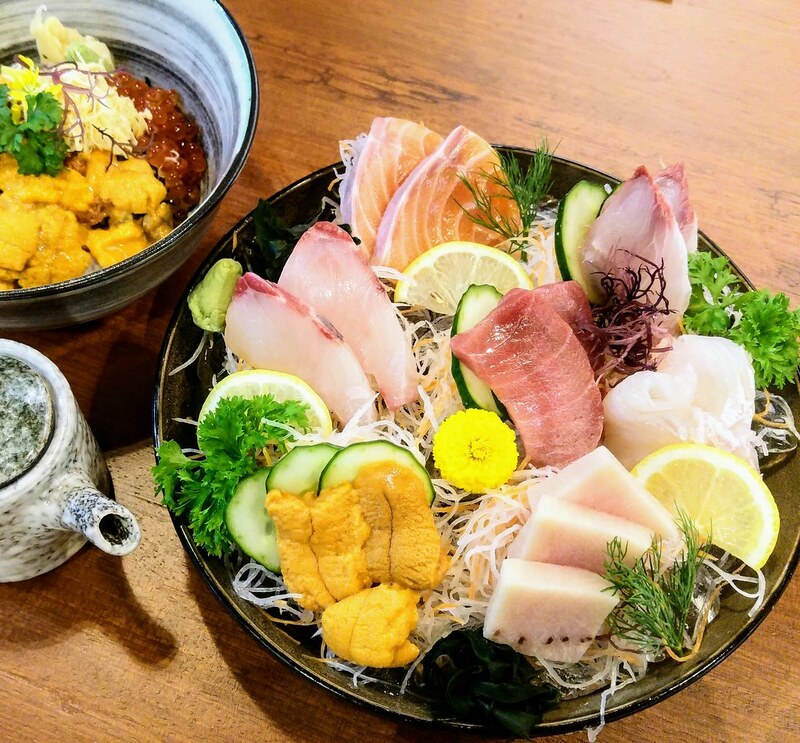 Uni Tokusen Sashimi platter priced at $38 onward, such as what we have here - Canadian Aka Uni, hirame, salmon belly, otoro, hamaji belly, tai, shima aji. 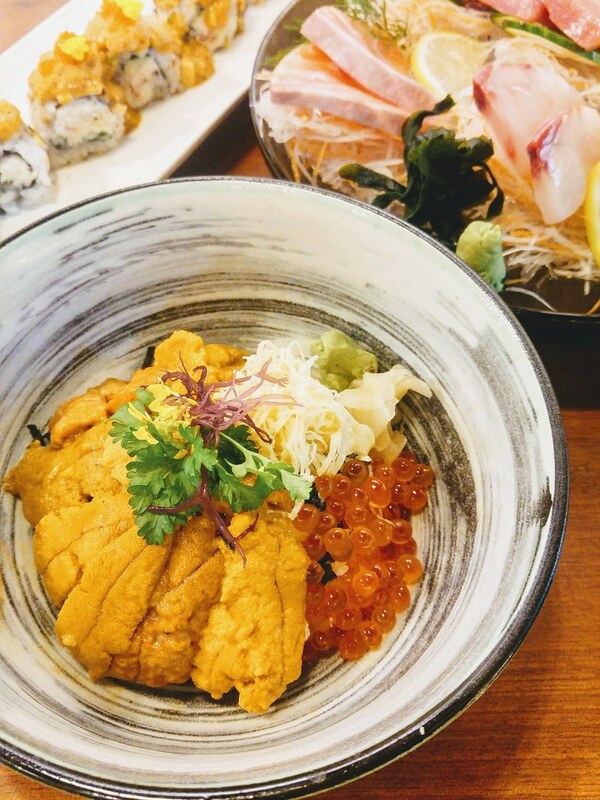 Another way to appreciate uni is none other than having it over sushi rice, which lends a tinge of acidity and textural contrast. Uni Maki ($68), wrapped within are sweet snow crab and crunchy cucumber, and atop are creamy Canadian Aka uni and savoury tobiko roe and tamago bits. You get a balance of sweetness and savouriness in one bite. The lunch set here is highly recommended. For just $34.90, you get a bowl of Uni Ikura Chirashi with green tea and miso soup. The usual price is $68 for a la carte. Slabs of fresh uni and salmon roe on Japanese rice, I reckon such amount is enough to satisfy your craving. 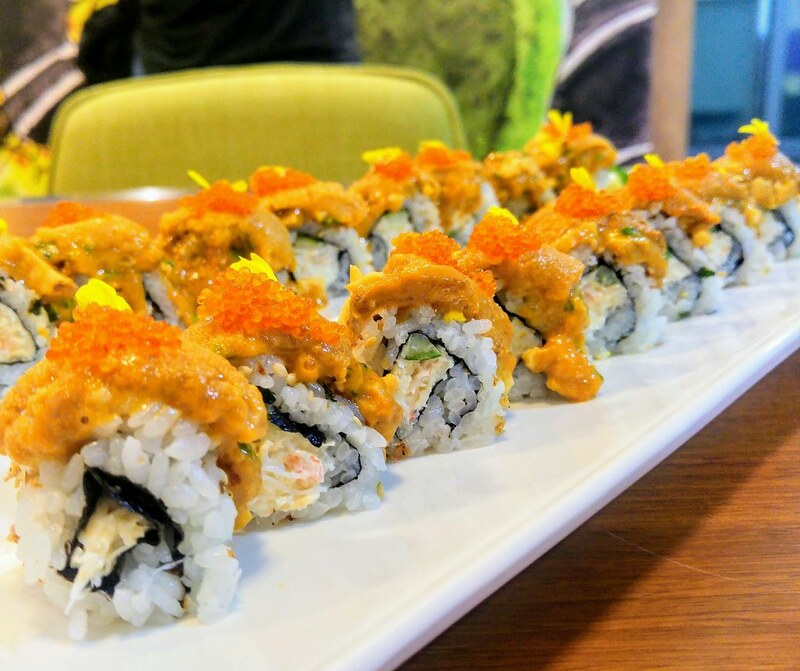 Though the texture of the uni is not as firm, it is a very affordable option if you just want a quick uni fix. Can't get enough? Fresh raw Uni selection ranges from the house uni Canadian Aka Uni $20/portion to highly acclaimed Japanese Higashizawa Shiro Uni $180/portion and Japanese Hadate Shira Uni $180/portion. Words and photos by Si An. A girl who is allured by travelling, loves the feel of freedom, smell of the rain and the aroma of fine coffee and food. Note: This is an invited tasting.